This is this second piece of a series on border town violence in Indian Country Today Media. The next installments will include an analysis of border town violence and profiles of three cities: Albuquerque, NM, Gallup, NM, and Rapid City, SD. On June 27, 2013, Eide Bailly, an independent auditor from Bismarck, ND, completed a financial audit of the Lower Brule Sioux Tribe’s (LBST) financial records for fiscal year 2012. Read the auditor’s full report here: LBST_Audit_FY2012_Part1, LBST_Audit_FY2012_Part2. The audit revealed that the LBST Council dispensed only a fraction of the $14.24 million of the Salazar settlement was dispensed to tribal members. Approximately $3.5 million was paid out in the form of stipends to tribal members with LBST withholding the remaining $10.74 million. Although it remains unclear as to how exactly this amount of money was spent or saved, the audit notes the Salazar money was secured to pay an undisclosed amount of debt owed to the Shakopee Mdewakanton Sioux Community ($1 million) and a loan for the Lower Brule Community Development Enterprise ($800,000). As of 2013, LBST’s long-term debt totaled $32,736,001. The Cobell v. Salazar class-action lawsuit settled in 2009, awarding individual tribal members $1.4 billion and tribes $2 billion for the repurchase of land that allotted under the Dawes Act. The intent of the settlement was to pay individuals affected by a long history of federal malfeasance of Individual Indian Moneys and lands and assist tribes in reconsolidating tribal lands and improving reservation-based economies. With this in mind, is the paying off of debts with money designated for the above-mentioned purposes an appropriate use of LBST’s money? Does it satisfy the requirements of the Salazar settlement? The auditors also identified major “material weaknesses” in LBST’s use of federal funds to cover overdrawn balances, which stemmed from grant year 2010-2011 and continued through grant year 2011-2012. • U.S. Department of Transportation—Highway Planning and Construction program (CFDA # 20.205). In sum, the LBST overspent the general fund and used federal grants to supplement this deficiency. The auditors concluded that “under 2 CFR part 225, Cost Principles for State, Local and Indian Tribal Governments, using federal to cover overdrawn balances are not allowable costs.” Although the recommendations to correct these inconsistencies, the LBST maintained that it “follows the scope of the grant[s] and meets the goals and objectives on a timely basis. Operations and services are provided on a continuing basis all the time.” Non-compliance with appropriate costs of these programs could result in the return of the grant funds and the termination of services provided under the grant. What should be questioned is how much of the money was absorbed into the general fund to make up for deficits in other areas. Federal grant money appropriated for specific purposes and services was instead used as “slush” money in the general fund to be moved around to cover overdrawn budgets. Also revealed by the audit was the number of tribal programs funded under federal grants, which LBST received $20,349,998 in 2012. These programs include social, health, economic, education, and infrastructure services to LBST and would be jeopardized if the tribe continues to misappropriate money in the general fund away from the appropriate activities required by federal guidelines. Not included in the audit was LBST’s 1999 $39.3 million compensation for damages sustained by the 1944 Pick-Sloan Missouri Rive Basin program. Set aside in a special trust fund (Lower Brule Sioux Tribe Infrastructure Development Trust Fund), interest earned on the fund’s amount is to be made available to LBST for educational, social welfare, economic development, and cultural preservation projects and plans. However, these expenditures and budget items are not included in the LBST general budget and audit. It begs the question, how is this money being spent? Or, how was it spent? Elections in the Lower Brule Sioux Tribe, the Kul Wicasa Oyate, are around the corner. Anyone concerned about the future of the Indigenous Nations and lands along the Keystone XL corridor and the catastrophic impact Alberta tarsands extraction will have on all people and lands should take notice. In our small Nation, much is at stake, not just for us but for the rest of the world. The future of our Nation, the Oceti Sakowin, is at stake. Our treaty lands are at stake, for both Native and non-Native peoples. The health and well-being of all our human and non-human relations are at stake. The enemy is at the gates, and you have given them the keys. The Lower Brule Sioux Tribal Council is the ONLY Nation of the Oceti Sakowin publicly supporting the multinational corporation TransCanada, the firm contracted to build the Keystone XL pipeline. Our land, Kul Wicasa Makoce (Lower Brule Sioux sovereign land), is the only tribal land KXL infrastructure will cross. And our current elected officials support the pipeline’s construction, in the face of years of protest by our relatives and the citizens of our Nation. With all due respect, Mr. Chairman, as a relative, as a citizen of our Nation, as an educator, as an ikce wicasa (a common man), and, more importantly, as a disenfranchized voter, let me put this into perspective: I would never vote for you, and I pray that our people will in good conscience never vote for you and your cronies, and the corporation you chose to represent. You don’t serve the people. In fact, you’re a turncoat on the Oceti Sakowin. Your legacy will be forever tarnished with the acts of your reign: in the 1980s you pushed for a monetary settlement of OUR He Sapa (the Black Hills); you led the settlement with the state of South Dakota for our shoreline rights of OUR sacred Mni Sose (the Missouri River); you were a collaborator with Dan Snyder’s Redsk*ns to sell our popcorn in that racist sports team’s stadiums; and now you have collaborated with the worst of all our enemies, TransCanada. You sold us out. The people in your administration sold us out. Many, many of our relatives courageously resisted these actions. We still do with the knowledge that we have paid with our livelihoods. Yet, we persist because we have a better vision than what you promise us. We have to live with the shame that you turned your back on the Oceti Sakowin, our relatives. We have to live with the fact that you sold out the First Nations battling against the devastations of their lands against tarsands extraction—which the Keystone XL pipeline will only exacerbate. You sold us all out. And the rest of world knows that you are on the wrong side of history. Your opposition is young. They are educated in the ways of our sovereign rights as relatives and treaty signers, something you have forgotten. They represent the people. They are the protectors of our lands and rights. You may go down in history as the longest serving tribal chairman, but your reputation and legacy will be forever stained by your actions against your own people. Change is coming and its a beautiful thing. Embrace it. This is this first piece of a series on border town violence in Indian Country Today Media. The next installments will include an analysis of border town violence and profiles of three cities: Albuquerque, NM, Gallup, NM, and Rapid City, SD. It’s election season and the Kul Wicasa should be primed for change. Take into consideration the perspectives of an Ikce Wicasa, a common man, and fellow relative of Kul Wicasa Oyate. This year, the small Nation of the Kul Wicasa Oyate, the Lower Brule Sioux Tribe, drew national media attention when its elected council leadership passed a resolution in support of a partnership with TransCanada, the multinational firm slotted to build the Keystone XL pipeline. Unfortunately, many tribal members, myself included, had no proof the resolution existed—only rumors on social media and conversations with relatives. Fortunately, a brave soul, presumably “on the inside,” posted the document on Facebook and put the rumors to rest. The resolution to “authorize Chairman Jandreau to sign [a] letter to President Obama and Secretary Kerry stating Lower Brule Sioux Tribe’s prospective benefits and working relationships with Transcanada [sic]” was dated November 12, 2013. It was only in March of 2014 that the actual resolution surfaced, much to the chagrin of the Oyate. Meanwhile, the Oglala Sioux Tribe and the Sicangu Oyate, our relatives, ardently opposed the pipeline, even going as far as to publicly declare war on KXL and TransCanada if the project moved forward. Many of our relatives traveled to Washington, D.C.—among other places—to denounce TransCanada, the cataclysmic tarsands extraction in the territories of relatives to the North, and hopefully quash, once and for all, any prospects of KXL. Many great speeches were given in support of the Kul Wicasa’s opposition to its own government. After all, we posses the only tribal land KXL infrastructure, a power substation and a 71-mile transmission line, would transgress. And our Council seemingly signed away our rights without our knowledge and without our consent. But this about more than just a pipeline. It always has been since the first mass community meeting in March. It has been before TransCanada came knocking on our doors, checkbook and contract in hand. The grandiose speeches and romantic images of Indians uniting with larger environmental movements has largely faded from national attention. It seems we fulfilled our function in one moment in time, to a system that allowed the idea of KXL to be entertained and continues to allow the devastating extraction of Alberta tarsands. Our problems lie within our government system. They always have. Transparency and accountability—as should be abundantly clear by now—simply do not exist. We have no checks and balances, let alone the decent moral character of councilmen to not act against the best interests of the people or the Oceti Sakowin. Much has changed since the Kul Wicasa Oyate first adopted the IRA government in 1935. It should be noted, too, that we have lost a lot. We went from an undefined territory, where we were free to roam and live as we chose among the Oceti Sakowin and other Indigenous Nations; to 25 million acres of the 1868 Ft. Laramie Treaty territory; to 446,500 acres of original 1889 Lower Brule reservation land (also known as the Whetstone Agency); to 232,725 acres after the 1887 Dawes Allotment Act; to 122,000 after the Dawes Act formerly ended in 1934; to our current 95,030 acres after the inundation of our lands from the Fort Randall and Big Bend Dams. To put these numbers in perspective, media mogul Ted Turner owns over a 138,000 acres alone in South Dakota and has wealth that far exceeds all wealth generated from the tribe and its population. Not to mention, state and corporate interests have been successful at swindling away any hope for meaningful existence in our own homelands! Instead of being appalled at such a drastic reduction and loss of land, the current leadership appears to be ready to cash a check and sign away more land and rights away from our Oyate. Once we had district voting. Once we had off-reservation voting and an off-reservation representative to account for the population displaced by the massive flooding. Once we had monthly newsletters and town hall meetings to discuss current government proceedings and decisions. These happened on- and off-reservation. We even once had the first woman tribal council representative of all IRA governments back in 1935. Where is that leadership now? Many of these changes to our constitution and leadership took place in the 1980s when district voting—largely based on clan and family—went to the wayside in favor of council open elections and the voting restrictions to only on-reservation members was enforced. It begs the question, does this adequately reflect the concerns of our current population? 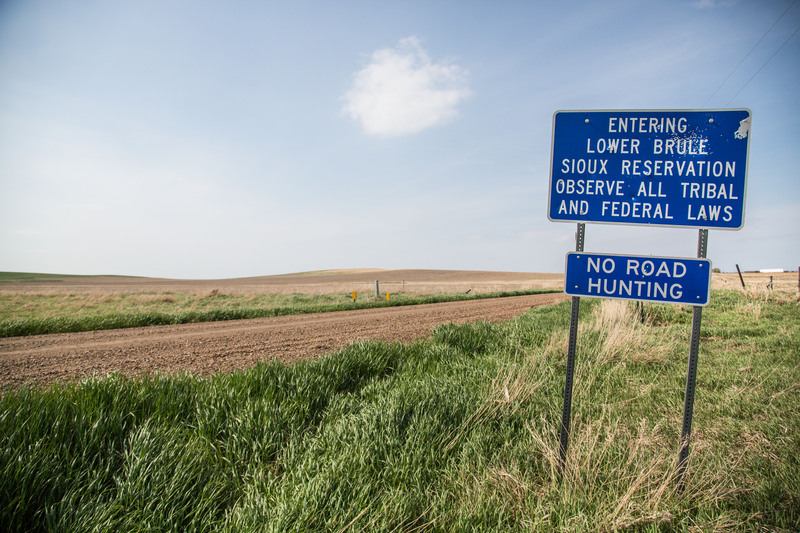 About 1,400 members live on-reservation with about 2,100 living off-reservation. Those living off-reservation, myself included, are denied the right to vote in general elections. Is this democracy when most of our membership lives off-reservation, but are still denied full rights as voting members? Who’s laws does the current Council represent? Are we less Kul Wicasa? Are we less relatives when we’re denied the vote and representation in a government that counts us but denies our human and sovereign right to vote? I care deeply about my Nation, the Kul Wicasa Oyate. I am Kul Wicasa. I am Hihansu Wakpa Oyate. Let me show it by allowing me to vote in how our future is determined. I represent 2,100 votes that could make a difference. Nonetheless, the longest serving tribal chairman, and his cronies, have got to got to go. Make room for the young, those that walk in power in the spirit of ancestors and the generations to come. Lewis Grassrope promises this. Let’s follow his lead, as Chairman, and speak truth to power. Let’s hold our flag high. Let’s hold our heads high once again and live up to our birthright as sovereign, proud people of this land. Our history and futures depend on it. Those that are on the ballot that acknowledge this prayer, this wocekiye, know. Kevin Wright for Vice Chairman, Loretta Grassrope for Secretary Treasurer, Robbie Her Many Horses for Council, Desiree LaRoche for Council, and Sonnie Zeigler for Council have the Kul Wicasa Oyate’s best interest in mind. Show them support. If I could, I would.